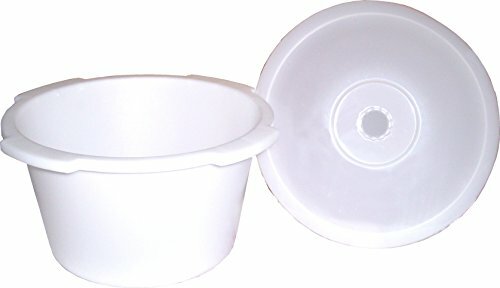 Universal Commode Pail - Replacement Part# 1500PC Pail w/Lid - 8 Qt. Dimensions: 11.75" (Diameter at Top) x 6.75" - Fits most bedside commodes, regular or bariatric. Dimensions: 11.75" (Diameter at Top) x 6.75"
Fits most bedside commodes, regular or bariatric; Dimensions: 11.75" (Diameter at Top) x 6.75"
If you have any questions about this product by ConvaQuip, contact us by completing and submitting the form below. If you are looking for a specif part number, please include it with your message.